Spyder Byte Media WordPress Yearly Maintenance WordPress software upgrades to include WordPress Plugins. 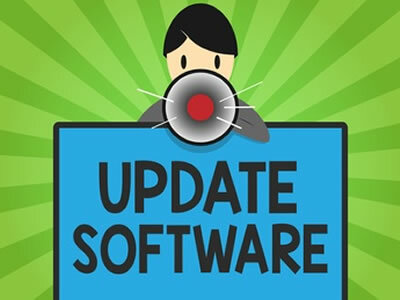 WordPress software upgrades to include WordPress Plugins. This service is only available to customers hosting their website(s) on Spyder Byte Media's servers. It’s important your site is kept up-to-date to reduce the chance of it being hacked or not functioning properly due to outdated software. We have also come across many situations where the client has updated plug-ins and/or WordPress and due to an incompatibility issue(s) between the most recent version of WordPress and the plug-in developer’s code, the site becomes unusable until the problem is resolved. In addition, the templates we use to design WordPress websites do on occasion have updates as well to address various issues that may occur. Generally, templates cannot be updated by our clients unless they have extensive knowledge of WordPress template design and a web design background. If your site gets hacked or a problem occurs please understand we will have to charge an hourly rate to fix the issue(s). To avoid this, we have put together a reasonably priced “Wordpress Maintenance Program”. This is your “insurance policy” if you would rather not have to worry about monthly updates and potential problems due to incompatibilities between plug-ins and updates, or having your website hacked. This program could save you considerable cost if problems occur or template upgrades are available. The cost covers us logging into your website at least once per month and upgrading WordPress and all plug-ins that have updates available. If problems occur, we address and fix those problems as part of the maintenance program at no additional cost to you. In addition, if your template has an update available we will upgrade it at least once per year. This alone is worth the cost of the program. Logging into your website at least once per month and updating any third-party plug-ins that are available along with WordPress. If a problem occurs we will fix it at no additional cost. Logging into your website at least once per year and update your WordPress Theme provided one is available. If your site is hacked we will get it back on-line as quickly as possible. NOTE: If you have multiple WordPress websites you will need to purchase a maintenance plan for each one.